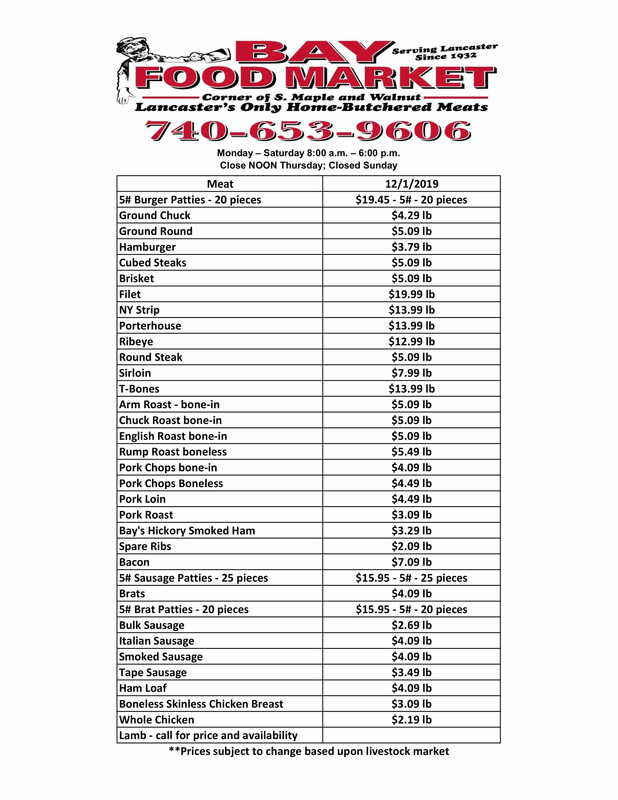 As Lancaster's Oldest Independent Grocery, we invite you to shop with us to purchase quality meats with great service in a locally owned and operated neighborhood grocery. 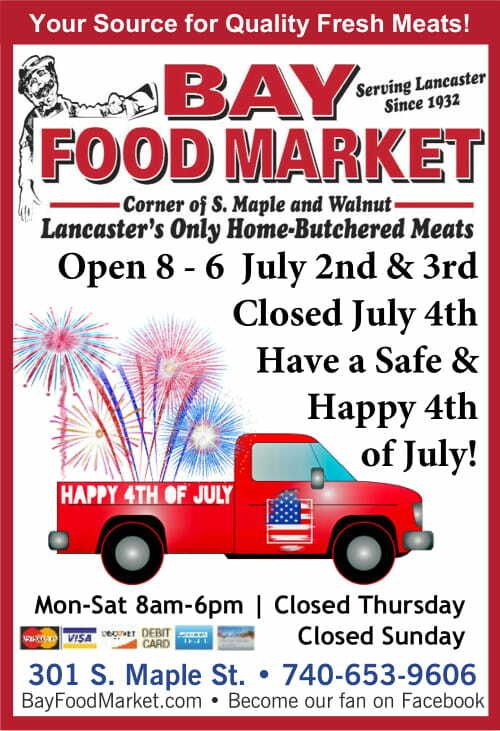 Bay Food Market has been serving Lancaster and the surrounding communities since 1932 from our only location at the corner of Maple and Walnut Streets in Lancaster. We make our own brats and fresh sausage and we cure and smoke our own hams, bacon and sausage. We offer several varieties of frozen meat boxes and custom-made party trays of meat and cheese, fruit or vegetables. The meat we sell has been processed at our state inspected meat processing facility, which is the only fully inspected red meat facility in Fairfield County. Being fully inspected means that an inspector from the Ohio Department of Agriculture is in our facility any time we process meat to assure the safety and quality of the meat you purchase from us. Our meat is not available at any other grocery. We are conveniently located just a couple blocks off of Main Street at the corner of Maple and Walnut Streets. We accept cash, check, Visa, MasterCard, American Express, Discover and Ohio's Direction Card (food stamps). We look forward to serving you and your family. Visit us soon!